A new Spring Maintenance Service is being celebrated as a preventative upkeep in response to the damage caused by wind storms and heavy rain in the Coquitlam and Lower Mainland areas. The company has built a solid reputation in the residential and commercial roofing communities and are now offering their new Spring Maintenance Service to the same demographics in both the residential and commercial communities in Coquitlam and Lower Mainland. Just in time for the residential communities to take full advantage of this new spring maintenance program. Designed as a preventative upkeep the technicians provide in response to the damage caused by wind storms and heavy rainfalls experienced here in the Coquitlam and Lower Mainland areas. With the use of innovative products and industry expertise, it’s no wonder why Coquitlam Roofing Contractors is Coquitlam’s greatest roofing and ventilation company in the Vancouver Lower Mainland area. The acclaimed Coquitlam Roofing Contractors cover any and every roofing need from new roofing to re-roofing, leaking roof repairs, commercial roofing, residential roofing, metal roofing, gutters and roof inspections. Coquitlam Roofing Contractors offer high quality service, workmanship along with using the highest quality materials available for residential homeowners and commercial alike. In keeping with customer satisfaction and a strong focus on innovation and simple solutions for customers, giving them the opportunity to explore the roofing material options in more detail, so they can make the best decision for their property. Working with a creative roofing supplier who offers Lifetime Limited Warranty on all of their laminated shingles we are able to pass this to our customers. These laminated shingles have multiply layers for added dimension and are created using Advanced Protection Technology. By adding an extra layer of asphalt instead of unnecessary fillers this creates a lighter shingle and offers superior performance adding extra protection for the clients home. 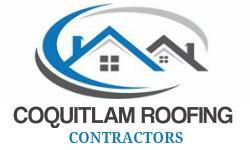 At Coquitlam Roofing Contractors, technicians install product with a proven record of durability and longevity. Every product used is backed with a manufacturer’s warranty that protects your investment and all roofing technicians are qualified, licensed and insured. All roofing technicians have been taught every aspect of shingle installation techniques, as well as the procedures for installing all types of shingles. By following the Shingle Applicator’s Manual which covers a variety of topics, including: good workmanship practices, roof systems, estimating flashing, ventilation, and product installation. This type of training gives the team the ability to install all types of shingle products.